If you found this post, and you’re not a West Coast Swing dancer, you should of course learn some West Coast Swing as soon as possible. 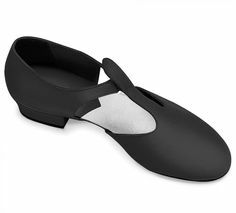 But in the meantime, read this instead: a blog post about the stupid things clueless people say when they buy dance shoes, written when I was a shop assistant at LaDanse. People have been asking me how to buy West Coast Swing shoes if you don’t live in someplace like California. So here’s my advice on how to buy West Coast Swing shoes in a country where people generally don’t know what West Coast Swing is. Doda, a dance shoe store here in Oslo, sells shoes specifically for West Coast Swing. Check out their selection of swing shoes online and then go to their shop at the Byporten Shopping center in central Oslo to try them on. LaDanse, at Rådhusgaten 26, does not sell specific West Coast Swing shoes (as far as I know? ), but they do have an excellent selection of jazz shoes. Some of them will work for West Coast Swing, like this one. soft shoes, with flexibility under the balls of your feet. You need to be able to roll through your feet, which means you need to be able to bend your shoes. suede soles (“semsket såle” in Norwegian). Rubber, plastic etc., will usually be too slippery or not slippery enough. Shoes that follow these guidelines will generally work for West Coast Swing, although it won’t say “West Coast Swing shoes” on your receipt. Guys’ shoes are closed, and look similar to those picture above. But girls can wear closed shoes too. These are girls’ shoes from Freed, based on guys’ shoes. So don’t be afraid to shop in the men’s’ department, girls. Or try “children’s” shoes. Many West Coast shoes are sold as ballroom shoes for kids, as if grown women ALWAYS wear stilettoes. Freed has a lot of so-called children’s shoes that go up to a European size 39 at least. 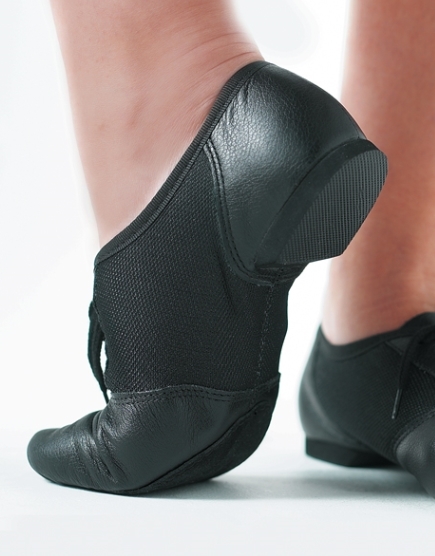 Soft, jazz shoes can also work well. Just remember to opt for suede soles. This is what I mean by “soft so you can roll through your feet”. 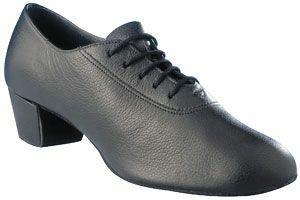 Dance sneakers (like these) can be ok, but I find they don’t give me the right connection with the floor, so I wouldn’t buy them for West Coast Swing. They are often too stiff. You need to be able to roll through your feet, including the balls of your feet. At big West Coast Swing events (events like Winter White West Coast Swing), you might be able to buy West Coast Swing shoes. And remember: go for smaller rather than larger shoes. Dance shoes that are too large are the worst. Categories: Dance according to Julie, Julie in English | Tags: dance, dance shoes, Oslo, shoes, shopping, style, west coast swing | Permalink.